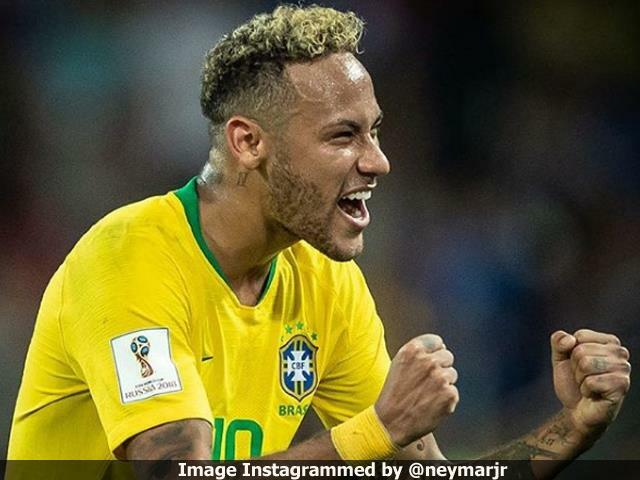 Croatia midfielder Ivan Rakitic believes Brazil talisman Neymar is on the verge of recapturing his best form after an inauspicious start to the World Cup in Russia. Neymar has scored just once in Brazil’s first three matches: a stoppage-time strike in a 2-0 win over Costa Rica, reports Xinhua news agency. The 26-year-old missed three months with a fractured bone in his foot before the tournament and Rakitic believes his former Barcelona teammate is improving every day. “He is among the best in the world and he is getting better during this tournament,” Rakitic told a press conference. “You can tell he is thinking less and less about the injury and I am sure we are all going to enjoy his football during this tournament.” In addition to his lacklustre form, Neymar has been accused by sections of Brazil’s media of “playing for himself” and of seeking attention by crying on the pitch after the match against Costa Rica. Rakitic defended Neymar and said the Paris Saint-Germain forward should not change the way he plays to please critics. “Neymar is among my favourite players in the world,” he said. Croatia will meet Denmark in the round of 16 on Sunday after topping Group D with three wins from as many matches. Victory against the Danes would set up a potential quarterfinal against Spain, who Rakitic rates as the World Cup favourites. “To be honest, I see Spain above everyone else,” he said. “I think they are the main favourites of this tournament. It’s tough, they had three difficult games in the group, (but) the confidence they are playing with is one level above everyone else. “I know them very well, I wish them all the best. But hopefully the quarter-finals will be enough for them. Then they are a little bit tired and can use some rest, especially if they are playing against Croatia,” he added.